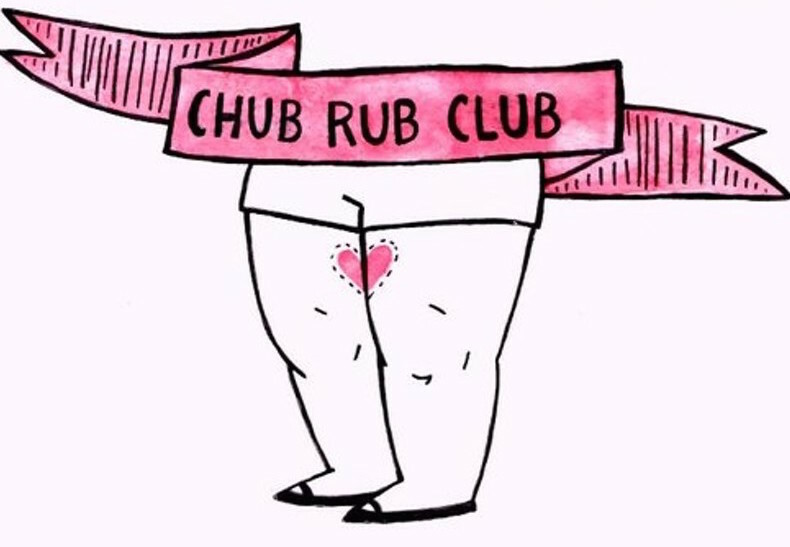 A shout out to every babe that gets chub rub. I got it yesterday when I was dancing in my garden and I see it as a tribute.
? I went out in the sun instead of staying inside.
? I wore short shorts instead of boiling in jeans.
? I wore dresses. That’s how I get the most chub rub, but it’s also how I feel most beautiful. ?I went out and enjoyed my summer instead of missing out on my favourite season.
? I used my body and made the most of it instead of staying stationary and stagnant. Dancing, running, walking all lead to chub rub for me but that will never stop me from moving just cause my thighs can’t stop kissing each other. ?‍❤️‍?‍? So go on, spray some deodorant on them, use some Vaseline or moisturiser and go ahead and live your damn life ?? I’m looking down at them now with gratitude. Especially grateful for the sunny day yesterday ☀️ since it’s thundering outside and I’m curled up on the sofa with a headache ?